Georgine Saves » Blog Archive » Good Deal: Echo (2nd Generation) $74.99 + Ships FREE! TODAY ONLY! Good Deal: Echo (2nd Generation) $74.99 + Ships FREE! TODAY ONLY! 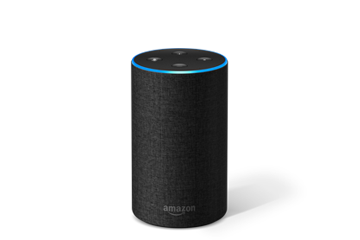 #ad Today only, 1-16-19, you can save $25.00 on the Echo (2nd Generation) with the smart speaker, Alexa at Amazon.com. Pay only $74.99 to play music, read the news, set alarms and timers, answer questions, control compatible smart home devices, and more. Shipping is FREE.